A Delaware district court jury has ruled in favour of Amgen in an ongoing dispute around patents for cholesterol-lowering drugs – a verdict that could block sales of Sanofi/Regeneron’s Praluent in the US. The court decided that Praluent (alirocumab) was infringing valid Amgen patents in a new class of drugs which block the PCSK9 protein to help rid the body of so-called ‘bad cholesterol’, also known as LDL. Both companies’ drugs in this field, Praluent and Amgen’s Repatha (evolocumab), were approved by the FDA in summer 2015 with highly similar labels and price points: Repatha costs about $14,100 a year, while Praluent, which was approved first, costs about $14,600. The stakes are high, as successful drugs in this new treatment class are expected to net their manufacturers significant revenues, despite their relatively slow start in the latter part of 2015. Sales of Praluent were $10.5 million last year, and both drugs (if Praluent remains on the market) are expected to be bringing in several billions in sales by 2020. While the court’s initial ruling has been made, a decision hearing on damages or the royalties Sanofi/Regeneron could owe Amgen will take place next week, March 23 to 24. Sanofi and Regeneron released a joint statement saying they ‘strongly disagreed’ with the court’s verdict and intend to appeal the decision. Sanofi restated its belief that Amgen’s patents on the antibodies targeting PCSK9 are invalid, and also confirmed that the first decision in the ongoing litigation would not immediately affect Praluent or its delivery to physicians and patients. 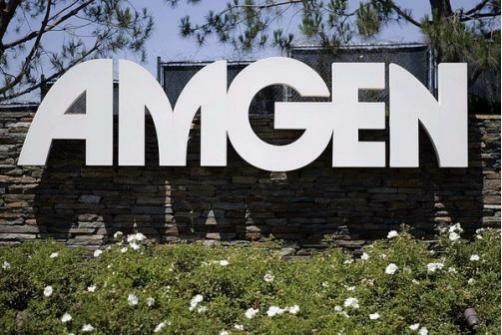 "It has always been and remains our position that Amgen's asserted patent claims in this matter are invalid," says Karen Linehan, executive vice president and General Counsel, Sanofi. "This is a complex area of law and science, and we believe the facts and controlling law support our position. We look forward to taking our case to the Federal Circuit Court of Appeals, the U.S. appellate court that hears all biopharmaceutical patent appeals," comments Joseph LaRosa, senior vice president, General Counsel and Secretary, Regeneron. "Praluent was developed with Regeneron's proprietary science and technology and represents an important medical advance for patients." Robert Bradway, chairman and chief executive at Amgen, comments "We are thankful that the jury weighed the evidence carefully and recognized the validity of Amgen's patents on Repatha, our innovative biologic molecule that reduces LDL cholesterol." Submitted by ankit saini on Thu, 30/08/2018 - 06:15. By click on the icon it definately will give you option about the turn 'on' how to enable bluetooth on windows 10 and turn 'off' also. But you have to clear about the functions and working of it.